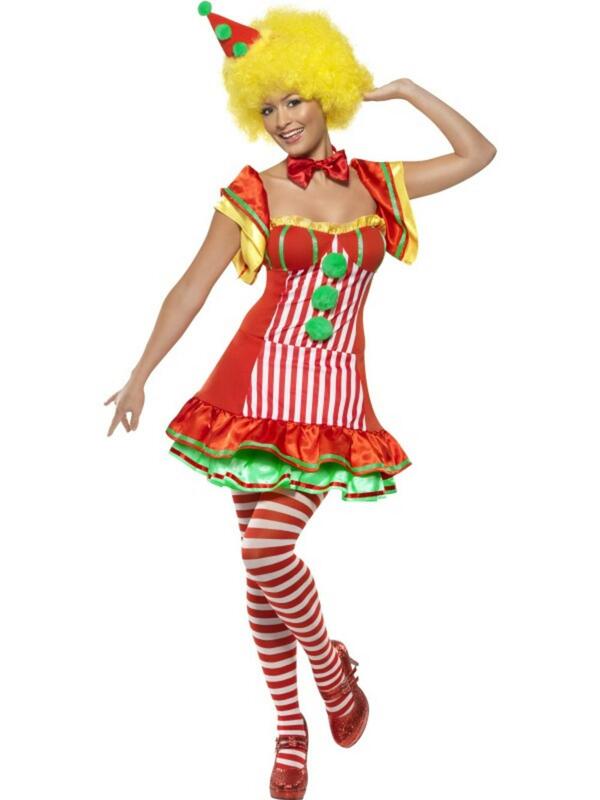 Entertain your friends and liven up any fancy dress party with this fantastic colourful Ladies' clown fancy dress costume. The jokey costume comprises of a flattering short red dress decorated with white and red striped detailing up the front, 3 small green pom poms and a layered, ruffled green and red hemline. Completing the clown look is a matching red pointy hat decorateed with 2 green pom poms up the front and one to the top. Great for wearing to a circus or carnival themed fancy dress party. Matching red pointy clowns' hat with pom poms.